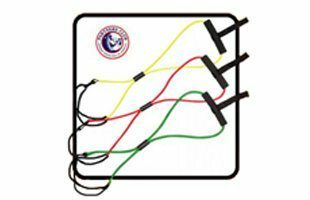 The GolfGym® PowerBandz are designed for the golfer looking to develop greater rotation, strength, flexibility and balance through golf specific movement patterns and exercises. Use in-season and off-season. 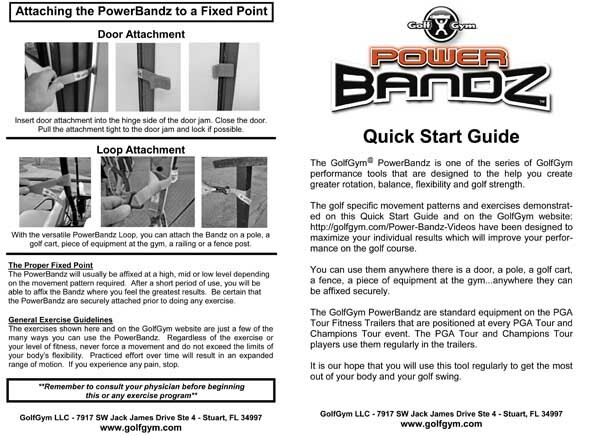 This GolfGym® PowerBandz product is available in two resistance levels which are Medium and Heavy. 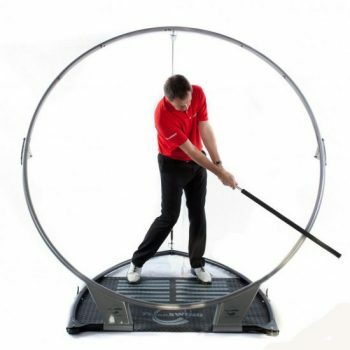 The unit is perfect for golfers looking to develop greater rotation, strength, flexibility and balance. This is done through golf specific movement patterns and exercises. You can use the Bandz in-season and off-season which will help your consistency throughout the year. You will develop your golf specific movement patterns (against resistance) to ingrain those movement patterns into your body and mind. The large movement patterns in the workout demonstrate how to develop a wider takeaway and complete swing. These movement patterns will help develop strong motor pattern memory which is critical to a consistent golf swing. Using heavier resistance doesn’t necessarily translate into a faster, more fluid swing speed. 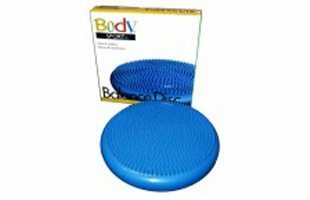 We recommend the Medium Resistance for the average golfer who may or may not do any resistance training. The Heavy Resistance is recommended for the golfer who does weight training regularly and considers him or herself very strong. 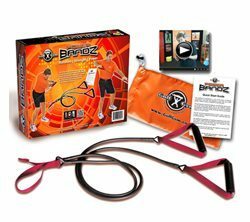 The PowerBandz consists of a set of BiLateral 4′ bands with individual foam covered handles. A combination door and loop attachment is affixed to the Bandz for easy connection to a fixed point. You can secure the Bandz in a door jam, on a golf cart, weight machine or fence pole. You can get a great warm up or total workout wherever you choose. Click Here to view the videos that will demonstrate the best way to use the Bandz. It is important to check the connection of the door/loop attachment before each and every use. Regularly checking the connection will insure that the Bandz don’t come loose or release during proper use. It is also important to check the resistance cord regularly for any damage like nicks or cuts. You should be sure to keep the cords away from any sharp edges or corners and in the nylon drawstring bag when not in use. Knowledge Is Power…Or Is It? Warning: Remember to consult your personal health care professional or physician before starting any exercise or stretching program.